A safer pool environment provides piece of mind and more fun. Providing Safety for adults and children. Pet and Animal Water Safety. Optimizing the water chemistry and improving pool safety!!! A ColorQ, All-Digital Tester can perform all of the common pool and spa water tests and eliminates the color-matching and guesswork. There's a model, for every testing need. The Shock-Guard 24/7 ™ Volt Detector and Alarm System warns of electrical hazards and creates peace of mind and a safer aquatic environment, while monitoring the pool or spa water, for the presence of electricity, 24 hours a day. 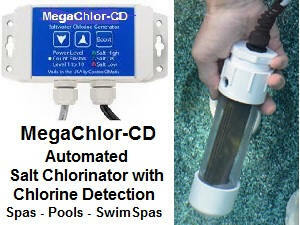 If as little as 1.7 volts of is detected, in the pool or spa water, it sounds a warning alarm, using its built-in buzzer. cFloat is an advanced Pool and Outdoor/Indoor Monitor System that collects key information from pools and the surrounding environment, to provide real-time updates on a variety of pool and environmental parameters. Data is stored in the cloud and accessible on a smartphone, tablet, laptop or smartwatch. Swimming pool safety can take many forms, apart from safe guarding the quality of the water. Keeping children, swimmers and pets out of harm's way is always a top priority. Towards this end, equipment and devices are available to provide both safety and piece of mind. It is unsafe to swimming pool, when the pool floor is not visible. New safety devices may be needed to comply with current anti-entrapment safety regulations. Electrical Shock Hazards can present a real threat. Fortunately, there is an Electrified Water Alarms System, that warns if hazardous conditions are present. If problems arise, refer to the Pool Problems Page, as a source of problem-solving information, broken down into various categories. Scroll down the page and click on the linked keywords, catch phrases or images, in the archived answers below, to access additional information, on that topic or product. ► Electrical Accidents Can Happen? I was shocked to see a TV news report on the drowning of a lifeguard, at a local community pool, earlier this month. The cause was attributed to electrical shock, which led to the drowning. Today, there was a follow up report and the cause was determined to be due to a corroded ground line. The pool was built in 1979 and the corroded line was original. While the pool is inspected, as required by local codes, there is no required inspection of the electrical system. No mention, of any means of detection and prevention, was made. Is there any type of alarm, that can warn of unsafe electrical conditions? Thank you. I did catch that local news report, as it occurred in my local viewing area, and I made a call to the news station. The reporter stated that he asked a local pool dealer, about the existence of any safety devices, that could have prevented this tragic event and was told there were none. He should have asked me, because there is such a device. The Shock-Guard 24/7 is an alarm system, that sounds an audible warning, when electricity is detected in the water. This situation could have been avoided. Hopefully, it will start to increase awareness of the danger and the solution, that is available. ► Should I Be Concerned About Electrical Safety? 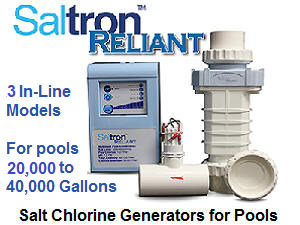 My pool has an underwater light, a low voltage robotic Pool cleaner, an over the wall drape-over salt chlorine generator, as well as a pump and filter. Is there any reason to be concerned about possible electrical hazards? Just looking to be safe. Thank you. All electrical equipment must to connected to a power supply, that is protected by a Ground Fault Interrupter (GFI). Building co des should require that all outdoor receptacles be equipped with a GFI. In addition, the outlets in garages, bathrooms and kitchens, should likewise be protected. In case of a malfunction, it is expected that the power will be cut off, before something serious can result. Things do go wrong, and many people understanding that electricity and water do not mix, remain concerned about something failing. The first thing to do is verify that all power sources, for outdoor use, meet local codes and are properly protected, with a GFI. In addition, all metal pool equipment, and surrounding metallic objects, should be grounded, as required by codes. The addition of a Volt-Detector and Alarm System can sound a warning, in case of an electrical malfunction. 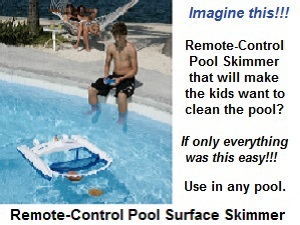 This provides a level of additional safety, giving some peace of mind, to the concerned pool owner. I hope that this information will be helpful. We have an inground pool and are concerned about our toddler son. Are there safety devices that could put our mind at easy? Or should we use a cover or a fence? Thank you. There are several choices: pool alarms, portable safety fences, safety nets, safety covers and enclosures. From the point of view of safety, perhaps the best are pool safety covers. These covers seal off the surface -- you can actually stand on the cover -- and can be operated manually or automatically. As a bonus, they will reduce water loss through evaporation and keep the water warmer. While it may not reduce the local code requirements for a fence, it can be a real life saver. A Pool Alarm System is an easy, relatively inexpensive and do-it-yourself way to effectively improve pool and backyard safety. In addition to all the electronic safety measures, you should make sure the pool is equipped with an anti-entrapment safety drain cover, that meets the latest regulations. It prevents the suction, from the main drain, from entrapping the long hair of a swimmer or buttocks, arms, legs, etc. Good luck with your decision. We have an older inground pool and I am concerned about my daughter's long hair being snagged, by the suction created by the main drain. Can my pool be fitted with a safety cover, that I have read about, in a recent magazine article? Thank you for your help. Your pool should be able to be fitted with an automatic pool safety cover. There have been lots of federal and local legislation, covering this aspect of pool safety. Make sure that your pool will comply, with the latest regulations. I hope that this information will be helpful and provide some piece of mind. The mandates of the Virginia Graeme Baker Pool and Spa Safety Act (VGB Act) do apply to public and residential pools. However, only public pools and spas are obligated to replace the drain covers with a design, that is in compliance, and must have a drain system that meets the new requirements. New residential pools, built after 12/19/2008, should be using a compliant drain cover, as all non-compliant ones should have been removed from commerce. No mention is made of adding a second drain to a new or existing residential pool or spa. Retrofitting a compliant drain does make sense, when a liner is replaced or the draining of any type of pool, makes access easy. There are a host of new cover designs, that meets or exceed all existing standards, for use in residential or public pools and spas. Local laws will vary and may change. Always make sure all devices are in compliance with all applicable laws. While I have made an effort to correctly state the facts, I suggest that you check with the local building or zoning department, to see if their local laws or ordinances require anything more or different, than what is required by the current Federal law. I hope that I have been helpful. Editors Note: It has dragged on into 2013, as to what must be done to fully comply. It still does not seem to be fully resolved, at the Federal level and who knows what exists at the state level. You need to do some homework, to know what your state requires, at the current time. I've written you before with great info in return, but this time please recommend some one. We've purchased a pool and construction has begun. We now being forced with all kinds of pool barrier codes making an already expensive purchase more so, with having to change doors to the house and gates to the yard. I don't really have a problem with exterior gates to the yard opening outward self closing and latching to keep out the "riff raff", but they want our two existing sliding glass doors and windows self-closing and latching too! My wife and I are 40ish and good swimmers. I've even been lifesaver certified and spent time in the navy, don't have children and can't. But still they want all this extra barrier stuff. No one seems to sell these sliding glass door closers because of liabilities, do you know of any? These requirements are crazy. They're all worried about pool owners, but there are countless lakes in parks, home communities everywhere with kids all around and lots of the time, even in them, with only as much as a no swimming sign by them. Please let your people know to watch their kids around water, even if the worst doesn't happen, they'll be captive in their own home without being able to even open a window or door to their own yard! I'm glad that I was helpful before, but this time, I seem to have run into an obstacle. Drowning and pool safety are things to be aware about, so far as children as concerned. A pool is an "inviting hazard" and needs to be separated by some means. I agree that lakes and ponds are not similarly protected, but that would be deemed unattractive. The lake behind my house has a resident alligator and is not fenced. I'm the one that is fenced in. These safety requirements are locally regulated and vary considerably. I have seen pools without fencing! The point is that your state is acting in the greater good, in requiring some degree of protection, regardless of your qualifications as a swimmer, the presence of children or your training. And that's the way it should be! Safety pool covers, pool safety nets, safety barriers, safety fencing, pool safety alarms and self closing devices are all in use. You can't stand guard 24/7 and these devices can make a critical difference. Now onto the problem. I looked in the industry trade buyer's guide and could find nothing on self closing devices. They exist, but I'm at a loss, as to why it should prove so difficult, given the code requirements. I suggest that you pay the library a visit or go on-line and look it up in the Thomas register. Good luck. I have a spa that is made of fiberglass and "gel". The gel surface is very slippery and I swim dogs in this pool, so I need to add something that will have more traction. I have some of the stick on strips, but they are starting to come up, are very expensive, especially because they will have to be replaced occasionally, and I can't afford to cover the entire surface area with them. [about 40sf on 4 steps] Do you know what I could paint on to the gelcoat surface that would have traction, or I could add sand to, in order to provide a non slip surface for dogs and people stepping into the spa? Thanks so much. Love your site, help, resources of good places to buy on line. Best regards. Yes, you can apply a paint. The right paint helps! Ultra Poly One Coat is a tough, industrial-strength finish and comes with a supply of grit that can be added to get the right amount of traction. You need use the grit only where better traction is needed. Ultra Poly One Coat is a high performance, hybrid -epoxy formula that only requires a single coat. It is very durable and long lasting. Surface preparation consists of a cleaning with a citrate solution and then a power washing. Humidity is not an issue and no primers or top coats are required. Undecided? Read the first letter on this website page: Pool Coatings and Paints. I hope that this information will be helpful. ► Worried About The Dog? We have a small dog that cannot get out of the pool herself. She manages to jump or fall in all by herself. There are no kid's using the pool and it is fenced in. Any suggestions about safety precautions will be appreciated. The pool is 16' x 32' inground. Thanks. There are several products to consider. A safety pool cover will seal off the pool at the press of a button and has other advantages as well: acts as a solar cover and as a winter or vacation cover. A pool alarm can be used to sound a warning that someone or something has entered to pool. It was designed to protect kids, but it will work for dogs. Removable safety fencing can be placed around the pool, when you are not using it. Although designed to keep toddlers out of the pool, it should do well for small dogs. Adding an escape ramp, which should be available, can give your dog and frogs, mice and other uninvited critters, an easy way out. And lastly, there are safety nets that can be used to keep kids and pets out of the pool. So as you can see, there are several ways to provide safety. Good luck with your choice. An automatic pool safety cover provides the highest level of safety. Water will not collect on top, as the covers come with an automatic pump that prevents accumulations of water. This prevents dirty, unfiltered water from entering the pool. It is strong enough to hold the weight of several adults, quite easily. As a bonus, it acts as a solar blanket, making the pool heater more effective and less costly. If you are in an area, that requires winter covers, it can be used, as part of that procedure. Net covers provide some protection, but are not the same. It is work to put on or take off and will that always be done? The spaces between the cords allows for some things to pass through or entangle? Automatic covers open and close at a press of a button. An alarm can be added to signal the opening of the cover or it can be locked open or closed, with a key. Fencing or gates help, but are not foolproof. However, you can add perimeter alarms, for additional safety. You should, also, make sure the pool is equipped with an anti-entrapment drain cover, that meets the latest regulations. It precludes the suction, from the main drain, from entrapping the long hair of a swimmer or buttocks, arms, legs and other body parts. I hope that this information will provide a peace of mind solution.